Тексты и задания по чтению для 7 класса. 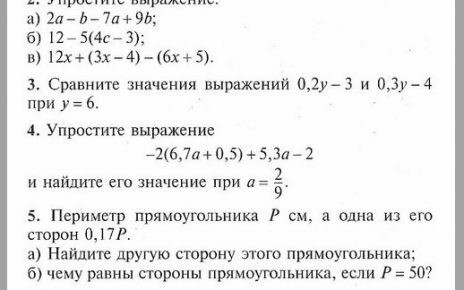 Упражнения по английскому для 7 класса. Exercise 4. Answer the questions on the text «My New School Is Fantastic”. For many centuries people … to catch it. Of course they … it yet. Tourists from all over the world … Loch Ness. Прочитайте статью из газеты и установите соответствие утверждений 1-5 содержанию текста. Отметьте каждое утверждение TRUE, если оно соответствует содержанию текста, FALSE, если оно не соответствует или NOT STATED, если в тексте нет точной информации. Boy George usually stays in bed on Saturdays, but last week he sold clothes in a shop. Actor Jeremy Irons sold flowers. And who did this man buy his knives and forks from? Uri Geller? It was all right. Last Saturday, shoppers in Covent Garden in London had an unusual day. For 12 hours over 300 stars from television, pop music, sport and the cinema worked in shops, pubs, cafes and restaurants in Covent Garden. More than 100,000 customers came to see them. Actress Kelly Hunter organized everything. The idea was simple. People came to see the stars, they bought things and the shop owners gave 5 per cent of the money to charity. But the stars didn’t only sell things. They signed thousands a autographs and gave kisses to their fans. (A kiss from Boy George cost Ј 5). In other shops, customers met boxer Frank Bruno, the Bishop of California, TV cook Delia Smith and many others. One hundred policemen were there, but there was no trouble. It was a good day for everyone. Fans got autographs and kisses from their favourite stars, the shops got a lot of new customers and at the end of the day more than Ј 100,000 went to charity. Covent Garden is in London. Boy George works in a clothes shop every Saturday. There are only clothes shops in Covent Garden. All the stars were actors and actresses. Kelly Hunter lives near Covent Garden. Прочитайте текст о достопримечательностях Лос-Андже­леса. Установите соответствие между заголовками А — F и пронумерованными абзацами текста 1—5. Запишите свои ответы в таблицу. Используйте каждую букву только 1 раз. 1. Los Angeles is the second largest city in America. It’s also home to film stars, sunny weather, tall buildings and heavy traf­fic. The hotels in LA are more expensive than those in many other American cities, but they are clean and safe. 2. There are many interesting places that you can visit, like Venice Beach with its street performers or Universal Studios to see how they make films. Children can visit the Children’s Museum -one of the most exciting museums in the world. 3. There are famous restaurants you can eat at, like the Buffalo Club, a place packed with celebrities, orMusso and Frank’s, Hol­lywood’s oldest restaurant. For the most delicious Mexican dishes eat at the Border Grill. 4. You can buy cheap fashionable clothes on Melrose Avenue. Do you want designer clothes? Then go to the expensive shops on Rodeo Drive. A visit there is always unforgettable. 5. The nightlife is exciting on the Sunset Strip, an area in Hol­lywood with famous clubs. There you can enjoy rock’n’roll music. LA is a modern city with something for everyone. It’s noisy and crowded, but it’s also fascinating. In a normal life a person sleeps for about twenty-five years. But why do we sleep? The simple answer is: we don’t know. We need more sleep when we are young. A baby sleeps for about ten hours. A teenager sleeps for eight and a half hours. And adult sleeps for seven or eight hours. Old people need only five or six hours. There are two kinds of sleep. When you go to sleep you go into deep sleep. Your temperature falls, your body relaxes, and you breath slowly. After about half an hour you go into active sleep. This is also called rapid eye movement sleep (or REM sleep), because your eyes move. You dream in both deep sleep and REM sleep, but in REM sleep you dream in pictures. If you wake up in REM sleep you can usually remember your dream. Your body spends about twenty minutes in REM sleep and then goes back into deep sleep for an hour. Do you ever talk or walk in your sleep? People sleepwalk in deep sleep and sleepwalkers do amazing things. They open doors and windows, they ride bicycles and drive cars. They cook, they take a bath or a shower (often in their pyjamas), they shave, they clean their teeth, they get dressed, they dig the garden and other things. 1 Everyone sleeps for eight hours a night. 2 Teenagers need less sleep than adults. 3 Some people sleep for only one or two hours. 4 REM sleep is the same as active sleep. 5 You only dream in deep sleep. Прочитайте текст о необычном преступлении. Установите соответствие между заголовками А — F и пронумерованными абзацами текста 1—5. Запишите свои ответы в таблицу. Используйте каждую букву только 1 раз. 1. A Singapore teenagerwho used his neighbours’ wi-fi Internet network will not be able to use the Internet for the next 18 months. The message for wi-fi users is clear: if it isn’t yours, don’t use it. 2. Seventeen-year-old Garyl Tan Luo was an online-game fan and played games at all hours of the day. He didn’t have time to study and wasn’t able to complete his course at the college. In the end, his parents were very worried and they disconnected their Internet access so Tan couldn’t go online. 3. However, this didn’t stop him. He knew his neighbours had Internet access, so he used theirs. He was able to connect to their wireless Internet network, or ‘wi-fi’, and continued playing online games from his own home. 4. The neighbours noticed Tan was using their wi-fi one night. They told him to stop, but he didn’t, and so they called the police. In Singapore’ it’s a crime to use a wi -fi network that isn’t yours. So, the young wi-fi thief had to go to court. 5. In court, Tan said he was very sorry. The judge didn’t sent him to prison. Instead, he sent Tan to a boys’ hostel for nine months. At the hostel, he will do sports and other activities, he won’t be able to use the Internet for the next year and a half. National sport in Great Britain… This is a very interesting questions, because many kinds A_________ in England. Englishman love sports, B _______________in spite of the fact that some of them neither play games nor even watch them. They only like to talk about sports. Some kinds of sport C ________in England. Popular and famous players D___________. Many traditional sporting contests take place in England, for example, cricket. There are many cricket clubs in this country. English people like to play cricket, they think that summer without cricket isn’t summer. If you want E___________ white boots, a white shirt and long white trousers. There are 2 teams. Each team has F__________. 2. Прочитайте текст о достопримечательностях Лос — Анджелеса. Установите соответствие между заголовками A — F и пронумерованными абзацами текста 1 — 5. Запишите свои ответы в таблицу. A Los Angeles is the second largest city in America. It’s also home to film stars, sunny weather, tall buildings and heavy traffic. The hotels in LA are more expensive than those in many other American cities, but they clean and safe. B There are many interesting places that you can visit, like Venice Beach with its street performers or Universal Studios to see how they make films. Children can visit the Children’s Museum — one of the most exciting museums in the world. C There are famous restaurants you can eat at, like the Buffalo Club, a place packed with celebrities, or Musso and Frank’s Hollywood’s oldest restaurant. For the most delicious Mexican dishes eat at the Border Grill. D You can buy cheap fashionable clothes on Melrose Avenue. Do you want designer clothes? Then go to the expensive shops on Rodeo Drive. A visit there is always unforgettable. E The nightlife is exciting on the Sunset, an area in Hollywood with famous clubs. There you can enjoy rock ’n roll music. LA is a modern city with something for everyone. It’s noisy and crowded, but it’s also fascinating. Match the topics (A — G) with the paragraphs (16 -21). There is one extra topic. 16. Things boys play with are not like objects girls play with. Boys often have more freedom to run about and they get guns, train sets, toy trucks and toy cars. Electronic games are very popular among young boys. Toys for girls are much quieter and more passive. Young girls often get things like dolls, dresses, and pictures to colour. 17.»Teddies» are an important part of British culture. Most people in Britain have a teddy bear when they are young, and most people are very fond of their special bear, even when they are 30 or 40 years old! Many famous people like film stars or pop stars or politicians collect «teddies». These people have donated their old friends to the teddy bear museum which is in Stratford-on-Avon in England. Many tourists go to this place, because it is the birthplace of Shakespeare, but they often love the teddy bear museum more. Computer games are a multimillion dollar industry, but people who really enjoy games are not satisfied with playing against the computer. They want to play against real people and most computer games allow you to do that just by joining up with other players on the Internet. Regular players say that this is where their true enjoyment of games can be found. With some games up to 60 people can take part. It’s a good way to meet people and it gives you something to talk about. The big American company General Motors has developed a vehicle that uses the power of the sun instead of petrol. The vehicle is called Sunraycer which means «ray of the sun» + «racer». Sunraycer has just taken part in a race against 25 solar-powered vehicles. Sunraycer covered the great distance in 45 hours at a speed of 41 miles an hour at temperatures as high as 48°C. It is certainly the car of the future. 20. Computers are a great technological invention of the 20th century. Their advantages are numerous yet much can be said against them. The main disadvantage of computers is that looking at a screen for long periods of time is bad for the eyes, and sitting on a chair for hours is not healthy. Also, people who use computers have a tendency to become anti-social and stay at home. The strongest argument against the use of computers is that the more jobs which are done by computers, the less are done by people. 21. Thirty years ago few people realized that computers were about to become part of our everyday lives. This short period of time has seen great changes in business, education and public administration. Jobs which took weeks to do in past, are now carried out in minutes. Schoolchildren have become as familiar with hardware and software as their parents were with pencils and exercise books and they don’t worry about mistakes having a computer. Bill decided first to take part in the bike race, but then he refused to train seriously for it. He was not sure he wanted to compete. But I signed us up anyway. I like having goals, and we had never raced on our bikes before. I wanted to see how we’d do. It was not what we expected — in fact, that race was quite a shock. But it certainly taught us some lessons. Our experience turned out to be a perfect illustration of the power of one sort of mental strategy in racing and a perfect example of what motivates some people to stay with a sport. The 36-kilometer (22-mile) race was a time trial: racers go off one by one at 30-second intervals and are ranked according to their speeds. I’m used to running races where everyone starts at once and you can be energized by the crowd and pace yourself by watching other runners. There are markers at every mile, and often there are clocks or race volunteers calling out times. Here you are all alone. No mile markers. No crowds. Just you and the lonely road. Then there were the other riders. Girls, it seems, do not do this race. There were only eight of us, compared with 73 boys. But every racer looked like a serious athlete. Almost everyone had aero bars — special handlebars that look like horns. Many had aero helmets as well as aero wheels. Almost everyone was a member of a cycling team or club. We had none of this special equipment. We were not on a team. My heart sank — what had we signed up for? We lined up according to our race numbers and set off, one by one. I was so nervous I forgot to set my bike computer, so I had no idea how far I had gone or how far I had to go. Nor did I know my average speed. It was like nothing I had ever done before, and I was not having fun. I kept telling myself just to keep going. I had told my friends I was riding, and I knew they would want to know how I did. I did not want to embarrass myself with a ridiculously slow time. Finally, the race was over. “I’m never doing that again,” I said to Bill. “I was the slowest.” Well, he told me, he felt sure he was the slowest. We drove home. So much for thinking we were the fastest cyclists on the road. I was glad running is my real passion. It is not fun to feel like such a failure. The next day the race organizers posted the results. What a surprise. I came in sixth out of the eight girls. And I beat two boys and tied with one. Of course, we were still at the bottom of the heap, but suddenly our moods changed. “We should do this again”, Bill said. Only we should get aero bars and race again in the spring. Yes, I agreed. I’d love to see what we could do. Not everyone wants to compete, of course. Recreational athletes take pleasure in a sport for its own sake and often feel no need to train and see how well they can do. They don’t care about their times. It’s not a mastery issue. They are not trying to conquer a hill, but just trying to climb it. Then there are the goal-oriented people whose motivation is somewhat different. And I guess that is what we are. “We have potential,” Bill said to me. Decide which of the following statements (items 22-30 are True (T) or False (F). 28. They are trying to conquer a forest. 29. I was glad jumping is my real passion. 30. Every racer looked like a good sportsman. 1. Everyone knows something about New York – the Statue of Liberty, the skyscrapers, the beautiful shops on Fifth Avenue and many theatres of Broadway. This is America’s cultural capital and her biggest city with a population of nearly eight million. In summer it’s very cold, in winter it can be very cold but there are hundreds of things to do and see all the year round. 2. There are five parts in New York: Brooklyn, the Bronx, Manhattan, Queens and Richmond. Only one of them, the Bronx, is not on an island. Manhattan, the smallest island in New York, is the real centre of the city. When people say ‘New York City’ they usually mean Manhattan. Most of the interesting shops, buildings and museums are here, and Manhattan is the scene of New York’s busy night life. 3. Wall Street in Manhattan is the financial heart of the USA and the most important banking centre in the world. It is a street of skyscrapers. Five million people work here every day. 4. Like every big city, New York has its own traffic system. Traffic jams can be terrible, and it’s usually quicker to by subway. It goes to almost every corner of Manhattan. But be careful at night, it’s better not to go by subway. There are more than 30000 taxis in New York. They are easy to see, because they are bright yellow. 5. If you really have to drive in New York, remember that nearly all the east-west streets and most of the north-south streets are one way only. This can be difficult for the visitor who doesn’t know his way. Try to get a map that shows the directions of the traffic, and good luck! Find the words with the opposite meaning. Write down the pairs. Winter-_________, hot-_______, north-________, ugly-_______, free-________, the biggest-___________, easy-_________, bad-________. 1.What is the population of New York? 2.Where are many beautiful shops situated in New York? 3. What is the real centre of New York? 4. How many taxis are in New York? 1. There are a lot of the skyscrapers, the beautiful shops on _____________________________. 2. Brooklyn, the Bronx, Manhattan, Queens and Richmond are___________________________. 3. The financial heart of the USA is________________________________________________. 4. The city has its own___________________________________________________________. 1. The Statue of Liberty is situated in London. 2. New York is America’s cultural capital. 3. There are two parts in New York. 4. The most important banking centre in the world is Wall Street. 5. There are no problems in New York with traffic jams. 6. The population of New York is nearly eight million. 7. All the east-west streets and most of the north-south streets are one way only. 8. Wall Street is in Brooklyn. 3. Put the sentences into the right order. 1. Wall Street in Manhattan is the financial heart of the USA. 2. Manhattan, the smallest island in New York, is the real centre of the city. 3. Traffic jams can be terrible, and it’s usually quicker to by subway. 4. Everyone knows something about New York – the Statue of Liberty, the skyscrapers and other. 5. Most of the interesting shops, buildings and museums are here.